freezable. So I can have snacks for weeks to come! on hand ingredients. I have so many goji berries, it’s unreal. challenging. Yes, this is completely different than the point above. 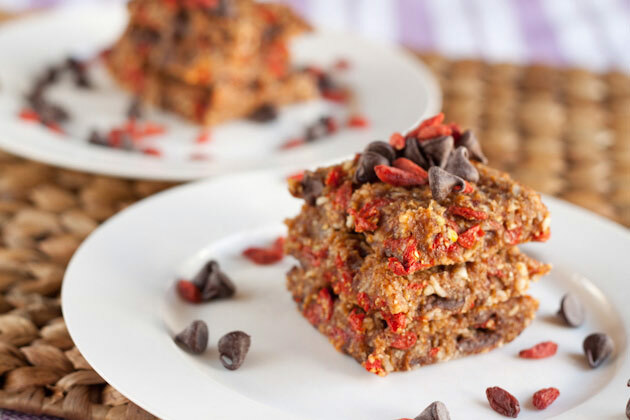 Sometimes I like a good challenge, which is why I tried the quinoa muffins. Happy that these bars were my backup plan. These bars hit more than a couple of my qualifications, so you can imagine my delight when I came across them on What Runs Lori. This recipe couldn’t be easier. I still got to get “creative” when I realized I was out of chocolate chips [other than the few you see in the pictures. Priorities, right?] 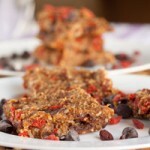 and had to come up with a quick carob/chocolate chunk recipe! 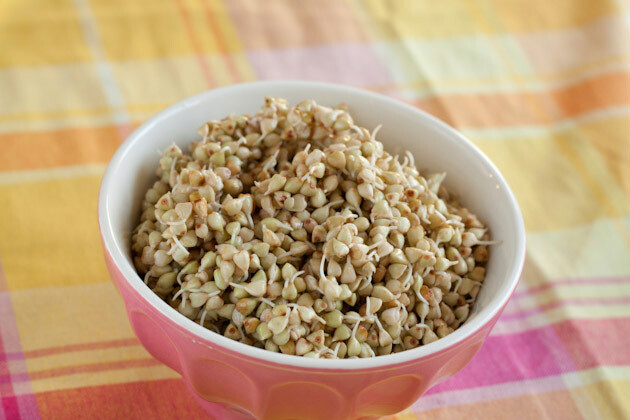 You can steal a couple of sprouted groats before dropping them in the recipe, no judging here! 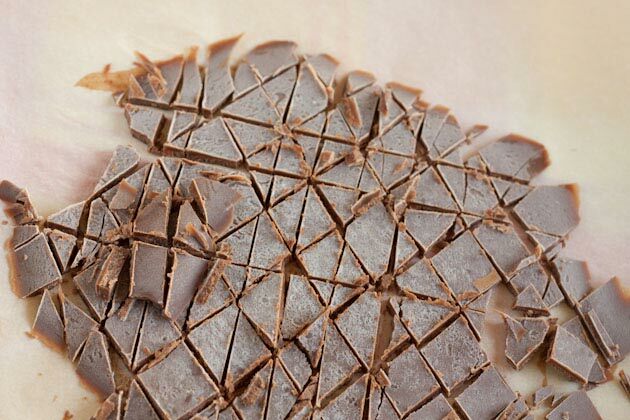 Why spend money on chocolate chunks when you can make your own for a fraction of the cost? Mix together, simple as that. Spread on a parchment lined flat surface and allow to cool in fridge. Chop into chips, store in a cool place until ready to use. you can also use 1 teaspoon honey or agave if you despise stevia! 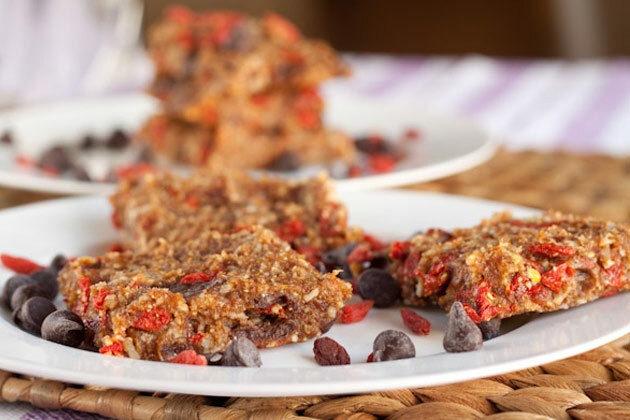 Upside to ABG bars: they serve as great motivation to push yourself through your long run of the week so you can get home and have a healthy treat. Speaking of long runs, I headed out Sunday morning for my 9.4km run. I’d put it off on Saturday because it was so windy. Let’s just say I wish I’d done it Saturday and not Sunday. There were moments I thought I was going to fall over, no joke. I was going in and out of residential areas trying to get out of the wind, but it didn’t matter where I went, or in what direction, the wind found me. 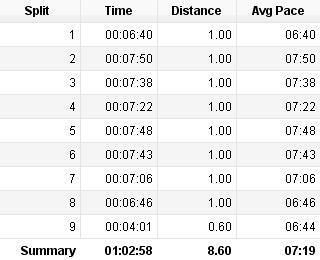 My average pace is 6:40/km, so you can tell how challenging this was! I figured 8.6km in wind was the equivalent of 9.4km with no wind. In other running news, I made the jump and signed up for a half marathon! I had originally wanted to participate in the marathon, but have realized that it’s okay to go slow when you want to be a runner for life. What’s the rush? Better to build up strong so I can rock hundreds of marathons in the years to come, than set myself back with another injury. A lot of athletes will be there trying to qualify for the Boston marathon, so it sure will be inspiring! Have you ever ran in serious wind? Any pointers? 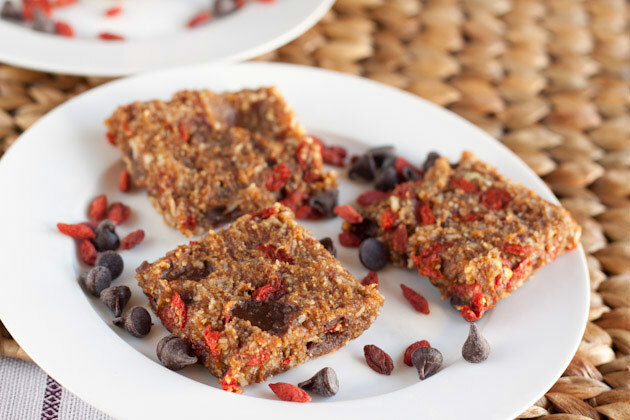 Do you have any tasty goji berry recipes you’d like to share with me? 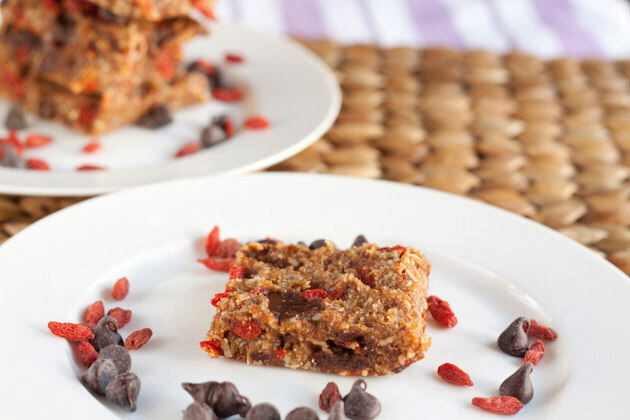 Making these bars reminded me of how many bags [yes, bags…] of gojis I have! 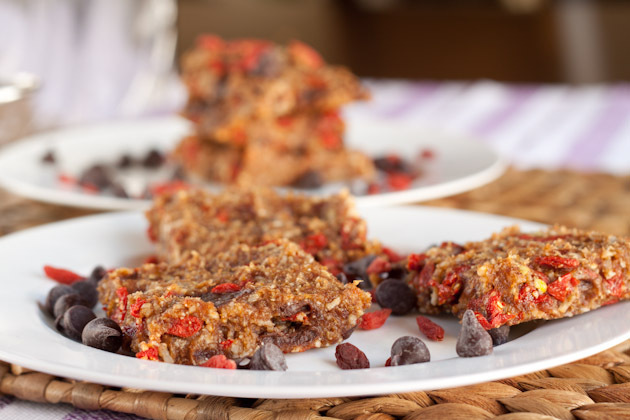 What are some of the requirements you have for homemade snacks?